This week sees Project Shout, a national awareness campaign highlighting the dangers of carbon monoxide poisoning, launch its 2017 campaign. Research carried out by Project Shout reveals that the suspected cases of CO (carbon monoxide) poisoning are ten times higher than previously thought. This means that a staggering 2500 cases of CO poisoning occur each year across England and Wales alone. It is estimated that a staggering 40 million people are at risk of carbon monoxide poisoning. This deadly gas cannot be smelt, seen or tasted. The only way to protect yourself is by having a CO alarm in your home. An alarm should be installed in every room where a fuel burning appliances is fitted. Carbon monoxide is produced from the incomplete combustion of a fossil fuel such as coal, gas, oil and wood. Safelincs proudly supports Project Shout and is offering up to 33% discount on selected CO alarms. Make sure you are protected today. Safelincs are proud to support the Dominic Rodgers Trust in their Christmas campaign, launching on December 12th 2016, to increase the awareness of carbon monoxide poisoning. The initiative that is being run through First buses across Huddersfield, Halifax and Leeds will see a special promotion on the back of their tickets, reaching 1.5 million people. Dominic Rodgers was 10 years old when he died in 2004 from carbon monoxide that seeped through his bedroom wall from a neighbour’s faulty appliance. His mum, Stacey Rodgers, has been campaigning tirelessly since the tragic accident to raise awareness of carbon monoxide poisoning. Carbon monoxide (CO) has no smell, colour or taste and can only be detected by a CO alarm. As the symptoms of CO poisoning mimic those of flue, headache, dizziness and feeling nauseous, this campaign is very timely. The campaign offers travellers on First buses a 10% discount on a FireAngel carbon monoxide alarm. Read more information about carbon monoxide poisoning. 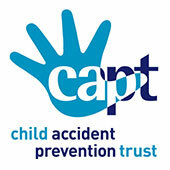 This month CAPT (Child Accident Prevention Trust) are raising awareness about carbon monoxide (CO) poisoning. CO, a gas that you can not see, smell or taste, can kill and is dubbed the ‘silent killer’. Safelincs support CAPT in the great work that they do and we are pleased to announce the most recent donation of £554 this quarter. “This is another fantastic result and your generosity is much appreciated by all of us at the charity”, said Katrina Phillips, Chief Executive of the Child Accident Prevention Trust. To protect your family and help raise funds for CAPT, purchase a FireAngel CO-9X or a CO-9D. A carbon monoxide alarm is the only way to detect CO, giving you the ability to leave your home and call for help. It could save your life. 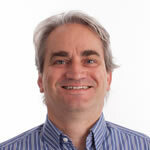 Technology moves fast and has finally reached the often ignored area of fire and gas detection. Smoke and carbon monoxide (CO) alarms used to be standalone units, until the advent of interconnection. Once manufacturers had perfected hard-wired interconnection, allowing the alarms to communicate, the next step was wireless interconnection which made the whole process so much easier. But what is the latest step in smoke and CO alarm technology? Safelincs is happy to introduce the all-new Nest Protect smart smoke and carbon monoxide alarm. Available in 230V mains and 9V battery powered versions, the Nest Protect combines an industrial-grade optical smoke sensor with a long-lasting carbon monoxide detector, making the 230V version the only mains powered combined smoke and CO alarm on the market. The Nest Protect is packed with features, including the ability to distinguish between smoke and steam to avoid false alarms and remote alerts via the Nest App. ‘Nightly Promise’ checks the power level of the alarm to ensure that there are no midnight chirps and the Nest Protect offers a handy Pathlight that lights your way during the night. The Nest Protect can communicate with other Nest and Nest-compatible products, such as the Nest Learning Thermostat and the Nest Cam HD, giving you more control over your home and ensuring that you are safe and protected by the best technology! If you have an questions or wish to place an order please ring 0800 612 6537 or visit https://www.safelincs.co.uk/nest/. As well as testing your smoke and heat alarms on a regular basis, it is important to make a note of when the units actually need to be replaced. Studies have shown that the functionality of smoke and heat alarms can start to deteriorate when they reach a lifespan of 10 years. Each smoke and heat alarm should have a “replace by date” visible on the outside of the unit and we recommend that you adhere to this guideline. When replacing a smoke alarm it can be quite difficult to recognise a suitable replacement product. In some cases, you may find that the current alarm model has been discontinued. With battery operated alarms, as there is no wiring in place, it is much easier to replace the unit for another smoke alarm with like-for-like features. Mains powered alarms are hard wired and are most likely interconnected during installation. It is because of this that finding replacement detectors can be difficult. Working with Kidde Safety Europe, Safelincs are able to provide a list of mains powered discontinued Kidde smoke and heat alarms, along with their suitable product equivalents. The new alarms will interlink with other, still working units of the previously installed smoke alarms. This means that there is no need to replace all of the units within a system if only some of the installed detectors have reached the end of their recommended lifespan. All new mains powered smoke and heat alarms are provided with a mounting bracket and a wiring connector. It is important to note that you need to replace the existing mounting base and re-connect the wiring to fit the new units. With any mains powered alarms, all electrical work should be carried out by a qualified electrician. Safelincs offer a smoke alarm reminder service which allows customers to be notified when their smoke and heat alarms are due to be replaced, when the batteries need to be changed and reminds customers to test their alarms on a regular basis. The service is completely free and customers can choose if they wish to be reminded by email, SMS text message or by Twitter. A common source of confusion can be the difference between Carbon Monoxide (CO) and Carbon Dioxide (CO2). Both gases are colourless, tasteless and invisible, but the similarity ends there. We have put together the following guide to help you recognise the differences. Carbon Monoxide is produced by the incomplete combustion of fossil fuels. CO can be produced by boilers, open fires and vehicles and is very toxic even at low levels. Detection of any level of CO warrants concern and the source should be identified as soon as possible. In a residential setting Carbon Monoxide is the most pressing concern because levels as low 50ppm will harm you and just 700ppm (parts per million) can be life threatening. Initial symptoms of poisoning include headaches, nausea and breathlessness. The only way to detect CO is by installing a Carbon Monoxide Alarm. Carbon Dioxide can be produced in a variety of natural ways. CO2 is a natural by-product of combustion and we all exhale it every day. It even has uses as diverse as giving drinks their fizz and extinguishing fires. Carbon Dioxide is not harmful in itself but an excess of CO2 (above 3%) in an enclosed environment can lead to asphyxiation by reducing the level of oxygen available. Carbon Dioxide detectors are usually used in commercial premises for example breweries or laboratories. Whilst CO2 poisoning is something to be aware of it is unlikely to happen in a home environment. As you can see, although their names are similar, the dangers posed by each gas are very different. It is important to be aware of the characteristics of each as they can both be harmful. The only way to be sure of staying safe is to make sure you have the appropriate detector fitted wherever you are. Carbon Monoxide (Chemical Symbol is ‘CO’) is a deadly gas, combining three characteristics which make it hard to detect: it is odorless, colourless and has no taste. In domestic situations it can be generated by any fuel burning appliance. Gas boilers, gas fires, wood burning stoves are just three examples. The generation of carbon monoxide increases if vents are poorly sited, if inadequate ventilation exists, if vents or flues are blocked or if the appliance is burning inefficiently. It is therefore vital that all your fuel burning appliances are regularly serviced. This should be done by a qualified person with “ Gas Safe” accreditation. You should ensure that the Engineer can measure CO levels coming from your appliance. Not all engineers have such instruments. We recommend that households install CO detectors. Only choose CO alarms that have been tested to the European standard EN50291. The certification to this standard has to be displayed on the packaging by law. Do not be fooled by alarms that state “ Designed to comply with…” as these are usually not independently tested. Alarms properly accredited to the standard have amongst many safety critical features an audible alarm and LED indicators. The EN50291 standard requires that the printed alarm manual contains information about the dangers of CO, what to do when the alarm sounds and who to contact. Make sure you read the manual when you install the CO alarm and keep it in case the alarm sounds. What happens if your alarm sounds and what should you do? If the instrument has gone into alarm you must assume that you have an CO event – remember you are dealing with a gas that you cannot see, smell or taste. An alarm is a very loud sound. If the alarm is just beeping softly at 30 second intervals it is a different warning, such as a low battery warning. (See your manual for details). All Kidde CO alarms are 100% tested in CO gas at the factory and independently tested by BSI so we stand by the reliability and quality of our products. People’s reaction to an alarm vary. Some ignore it, take out the battery and ring our help desk the next day. Usually the alarm will test OK which our helpdesk are able to hear on the telephone. Of course if the alarm beeps we may conclude low battery or probably the end-of-life indicator. We will advise accordingly. If the CO alarm is doing something out of the ordinary we will replace the alarm, if in warranty, within 5 working days. Let us go back to the CO alarm that actually went into alarm but the next morning is testing OK. The helpdesk will conclude that there has been a CO event and will talk through where the CO detector it is sited, what appliances were in use and whether the appliances have been serviced by a qualified Engineer. What can cause a false alarm? Of course the alarm may have developed a fault – and this should show with the fault indicator – a combination of flashing LEDs or an amber LED flashing. In this case we will replace the alarm if in warranty. People ask if anything else can set the CO alarm off. It is unlikely that in domestic situations this will happen. Hydrogen gas can set it off, as can some chemicals not likely to be used in the home. In a case we were recently involved with, the CO alarm sounded and the caller claimed it was false alarming. When we talked through the circumstances we discovered he was stripping down his motorcycle engine in the room where the alarm was situated using many concentrated solvents , including petrol, to clean the parts. The manual gives more information on solvents that can affect the alarm. Most of these would not be widely known! Another real case – CO alarms sounding apparently falsely. We found that they had been installed in a warehouse where gas powered fork lift trucks were operating and the exhaust fumes were setting them off. (A lesson not to fit CO alarms in your garage ). The owner said his alarm was sounding regularly. The alarms appeared on examination to be fine. On further investigation it was found that he had a back-up power system of lead/accumulator batteries. As the batteries charge they produce hydrogen gas which can trigger CO alarms. This issue also happens regularly on boats where batteries are charged. So, why might your CO alarm have gone off? At a level of 50ppm (parts per million) of CO the alarm will go off after 90 minutes. You may have been cooking, generating low levels of CO gas (perhaps your stove flame was slightly blocked and burning inefficiently), turned the stove off, closed the kitchen door and therefore sealed the gas in, leaving the alarm to sound an hour later. In another case CO gas was entering a neighbouring house when the flue of an application was faulty, unfortunately resulting in a fatality. – If CO had been present then the ventilation will have cleared it. – Did the engineer test for CO in the flue gas of the boiler? Not all Engineers carry such instruments. We know of one Engineer who used our alarm to check the boiler. Other engineers have wrongly used LPG gas detectors to detect carbon monoxide, confusing the issue with leaks of piped gas. We made a study of such events. We requested the alarms to be returned to us and tested them in our laboratory. In all cases we found that the alarms were working perfectly. – Make sure that you understand from the manual what any bleeps from your CO alarm mean. They could indicate a low battery, the end of life in some alarms or a fault indication. In the latter case contact the supplier for a replacement. – Understand thatcarbon monoxide can come from a number of appliances including your neighbour’s and that it can build up and set off an alarm after you have gone to bed. – In the case of an alarm follow the instructions in your manual. A very successful project is slowly coming to an end. In 2008 Kirklees Council decided to offer its residents free CO alarms through their WarmZone project. Safelincs was chosen as supplier of Kidde carbon monoxide detectors and has by now supplied over 120,000 CO detectors for this project. To celebrate the completion of this program, a photo shoot was arranged for all key partners that participated in the project. Keeley Broddle, from Safelincs Customer Care Team, can be seen on the left in the second row. Safelincs is extremely proud of its contribution to this achievement and to have been a part of this project. Our Twitter competition has started! Today marks the first day of our Twitter competition, where you have the chance to win 1 of 50 carbon monoxide alarms for your home. As a fire safety company and a Fire Kills partner, we know how important it is to promote and educate people about the dangers of smoke and other harmful gases in the home. Not only will you be able to learn a little something in our fire safety quiz, you will also be given the opportunity to sign up to our free smoke alarm reminders service, so you’ll never forget to change your batteries, test or replace your smoke alarm ever again! As a thank you for your support in spreading this important message we are giving away a fantastic prize. Every day, for 25 days, two lucky winners will each receive a Kidde slimline digital CO alarm. Safelincs and Kidde have teamed up to provide these alarms that could potentially save your life. Posted on March 16, 2010 October 9, 2018 Author SafelincsCategories Fire Safety NewsTags alarms, CO, competition, detectors, digital, fire kills, free, kidde, Safelincs, slimline, smoke, TwitterLeave a comment on Our Twitter competition has started!